Take advantage now of this exquisite offer at a very low price! 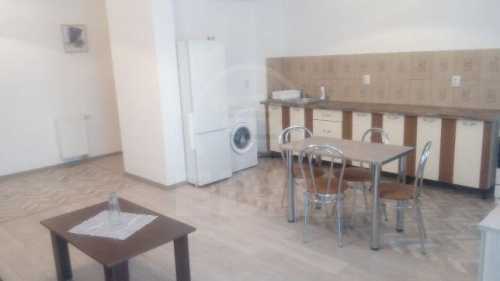 EDIL provides you an apartment with 3 rooms for rent in CLUJ-NAPOCA, GRIGORESCU area. The apartment is confort increasing detached and it has central heating, 1 bathroom, 1 balcony, modern tile, modern sandstone, woodblock. It has parking place. The apartment modern furnished and equipped has other facilities such as refrigerator, washing machine, stove, interphone. Call us to find more about the offer.